“Fresh Friday” is a new MBB series where we explore products from new beauty brand (and veteran brands that are new to me). Let’s discover new makeup! So…when did 7:30 p.m. become late for me? Because I swear, 7:30 is the new midnight now. When the clock strikes 7:30, I turn into a pumpkin! Am I the only person who assumed that because Kaja Beauty refers to their products as “bite sized,” they’d be teeny and tiny for travel? How cute is this line? I think their bite-sized hook is a little confusing though, since all of it looks pretty full-sized in person. 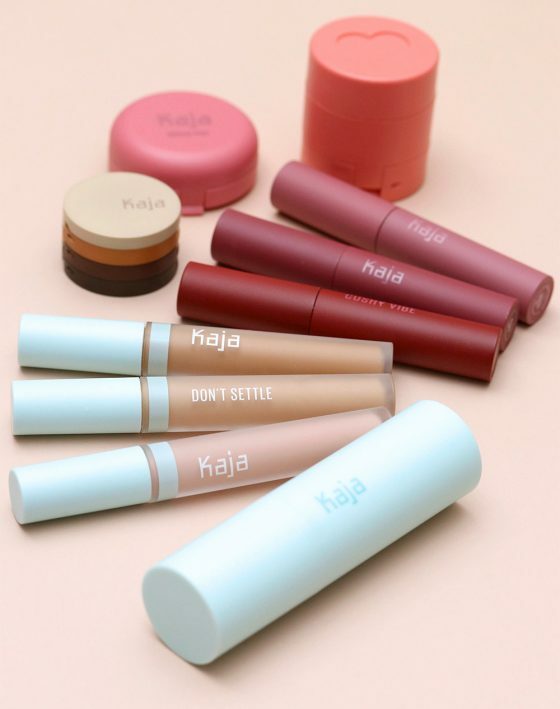 Kaja is a new Korean beauty line that launched last (this?) fall exclusively at Sephora, and here’s a fun fact for ya: Apparently, Kaja means “Let’s Go” in Korean! The brand has a Milk-meets-Glossier vibe, with a pinch of Too Faced cuteness, and while there’s a decent helping of eye, cheek and lip products, the line’s relatively minimalist when it comes to foundation… In other words, you aren’t going to find 20 million foundation shades a la Fenty here. Continue reading "Fresh Friday: This K-Beauty Brand Is All About Bite-Sized Beauty" on Makeup and Beauty Blog. Next post: Lipstick Tutorial Compilation ..